Facebook to launch own-brand 'Buffy' phone? 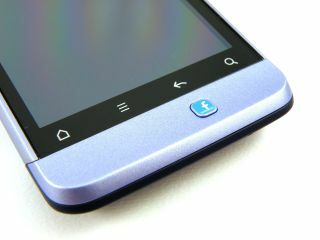 Facebook may yet release a smartphone of its own, with the latest rumours pointing to an HTC-made handset codenamed Buffy. The handset is supposedly being built on Android, but a heavily customised version that Facebook is fiddling with in order to integrate its many and varied services into the handset from the off, just as Buffy Summers integrated seamlessly with Mr Pointy and her crucifix after a spot of training. We imagine this means the handset will 'run' Facebook rather than requiring an app to take you into the network – rather like the Amazon Kindle Fire which is based on Android but keeps you in a fairly walled Kindle-infested garden. Rather than the slowly-dying-as-though-it-accidentally-stumbled-into-the-sunlight Flash, the Buffy handset will apparently take HTML5 as its core app platform. According to All Things D, which broke the story, Facebook has only recently decided to go with HTC as its hardware partner, after what we can only assume was a fist-fight to the death between it and Samsung. Because Facebook and HTC have only just agreed to this clandestine union, we're more likely to see the Facebook phone land at Mobile World Congress 2013 than the 2012 show, with the hardware likely to be 12 to 18 months off. We like this rumour and having experimented with the HTC Chacha and Salsa it wouldn't exactly be a shocker if it turned out that Facebook plans to launch its own phone.